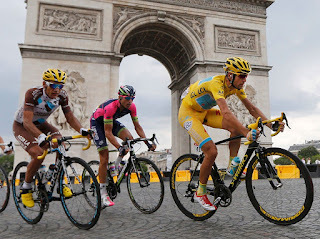 The Naked Vine: Wine Advice for the Rest of Us.™: Naked Vine One-Hitter: Following the Tour de France, sorta. Naked Vine One-Hitter: Following the Tour de France, sorta. In years past, I remember the Tour basically zooming through all of the various regions of France, but this year is different. This year, they started with several runs around Utah Beach, the site of the Allied D-Day invasion. 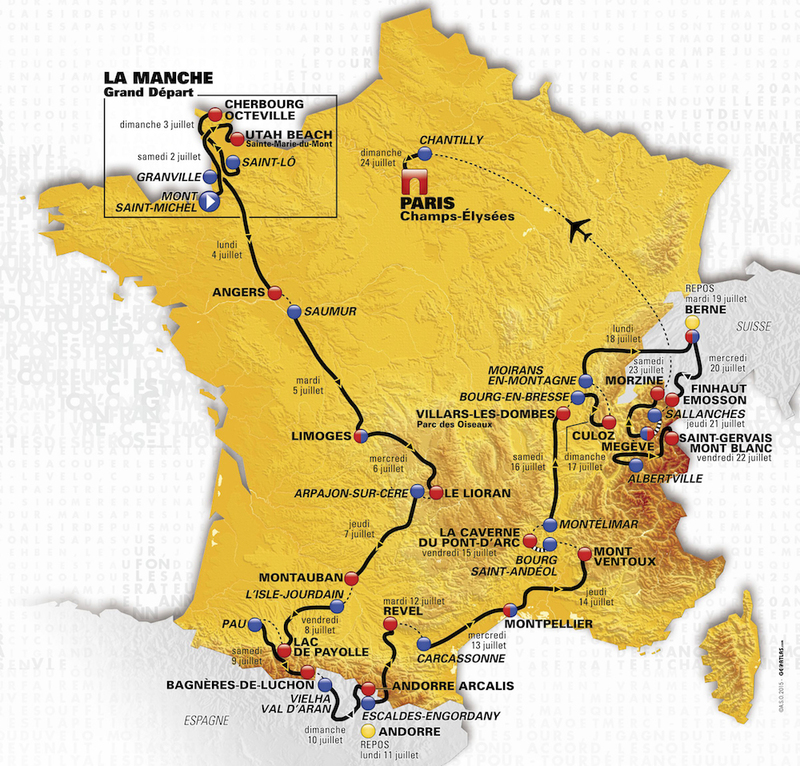 From there, the peloton will make its way south through Saumur and Limoges before heading towards the south of France. Unfortunately, the route skirts most of the major wine producing regions, like Bordeaux and Burgundy -- and the subregions therein. 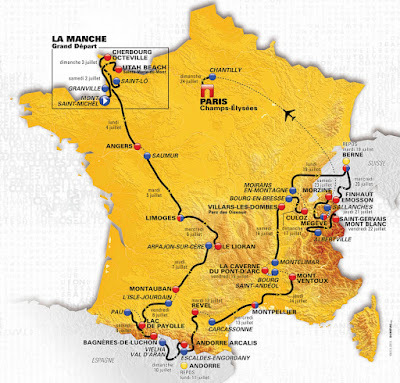 Northwest France isn't really known for producing much wine, and I don't really have the cash to casually write about Armagnac, which is where the riders are headed today. However, after that -- the Tour heads into Gascony, which is a region where wine is inexpensive and plentiful. Gascony, located in southwest France, near the Spanish border, along the foothills of the Pyrenees. The best known wines from that region are white wines. 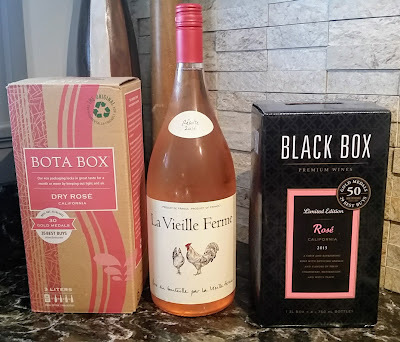 These wines tend to be crisp, acidic, and are made from local grapes like Ugni Blanc and Colombard. The average price of a white from Gascony (which you'll find as "Cotes de Gascogne") are usually around a ten spot. This description fits the Domaine du Tariquet 2015 “Classic” Cotes de Gascogne to a tee. Tariquet distills Armagnac, a brandy somewhat similar to Cognac, from the aforementioned Ugni Blanc and Colombard. They produce this white wine from the same grapes. I found a load of herbs and green apple on the nose. It was mouthpuckeringly tart initially, but that acidity smooths out a bit as the wine got a little air. The result were plenty of lemony citrus and green apple flavors, which led into a crisp, quick finish. A decent summertime quaffer for $10. Would be nice as an aperitif or with some light fish dishes.